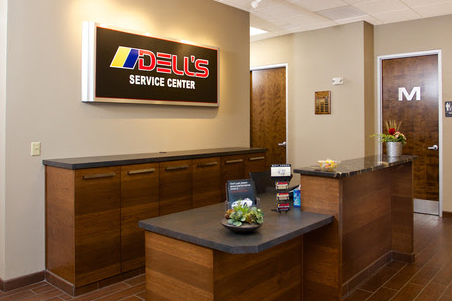 Dell’s Service Center is Green Bay’s Most Experienced Land Rover Service Center. We have over 45 years of experience maintaining and repairing European made vehicles, including the mighty Land Rover, our ASE Certified specialists are trained to repair the systems that make your Range Rover perform like a Rover should. Our team of experts is specifically trained in supercharging systems that the Land Rover models use as well as the sophisticated off-road suspension components and electronics that are unique to Land Rovers. As the leaders in Land Rover service we have dealer level diagnostic equipment, parts, and software updates directly from Land Rover, meaning our technicians can quickly get to the bottom of the issue your Range Rover is experiencing and effectively enact a solution without extra down time. By combining cutting-edge technology with real-world experience, our ASE Certified technicians are able to get your vehicle back on the road – or off-road if you choose – in less time than it takes other shops to diagnose the problem in the first place. Our Land Rover service center is also Bosch Certified. Being certified through Bosch’s training program sets us apart from other shops in the area due to Bosch’s strict standards of quality, training, and customer service. As a Bosch certified service center, we are able to replace parts on your Land Rover with original factory parts that won’t fail under high stress situations. Our specialists go through rigorous training programs to ensure that the repairs made in our facility are done correctly, and we back our work with a written service warranty. At Dell’s Service Center, customer satisfaction is our #1 goal. 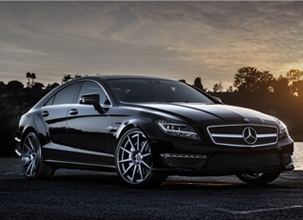 We focus on providing and often exceeding dealer level maintenance and repair services paired with a 12 month/12,000 mile warranty on most parts and services to back that up even further. 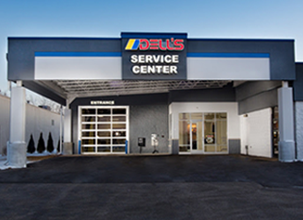 We have all 5-star reviews and customer testimonials and are proud of our reputation as the highest rated Land Rover repair center in the Green Bay area, including Manitowoc and Sturgeon Bay. If you feel your Range Rover being sluggish under acceleration, maybe it needs a new air filter or it could just have a vacuum leak – let a specialist from our team of certified technicians get your Land Rover running like it did the day you brought it home, worry free and guaranteed. Land Rover Repair & Service received 5 stars out of 5 based on 126 reviews on Demandforce.